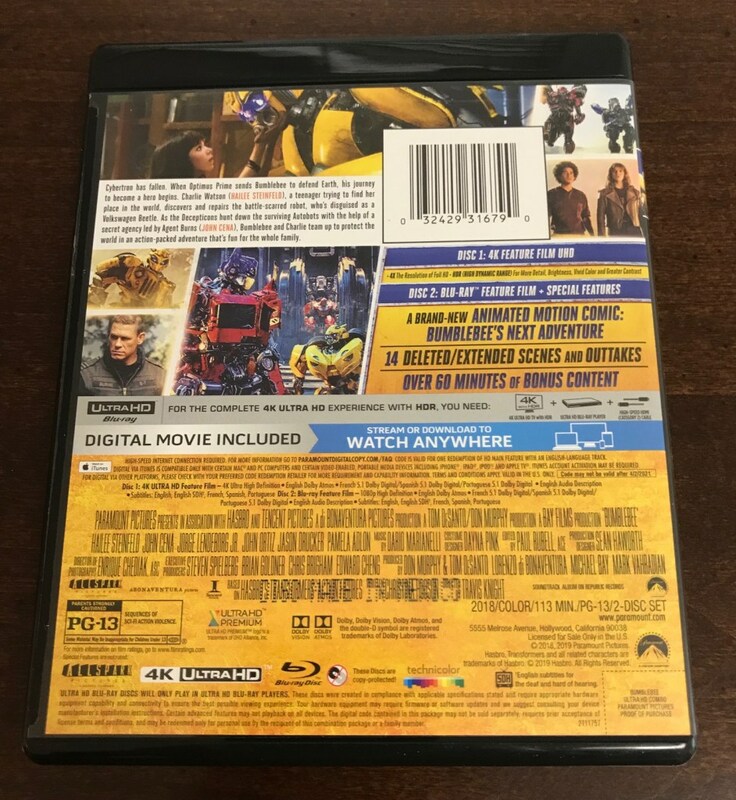 Full 4K Tech Specs can be found at the very bottom. 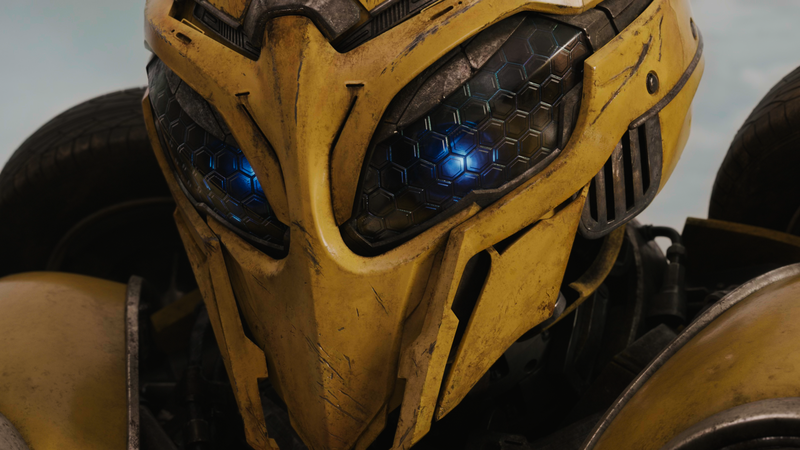 “Bumblebee” was a 2018 film directed by Travis Knight, best known for his work in the field of computer animated films with studio Laika. This was only Knight’s second feature-length film with his directorial debut being the animated film “Kubo and the Two Strings“ (2016). 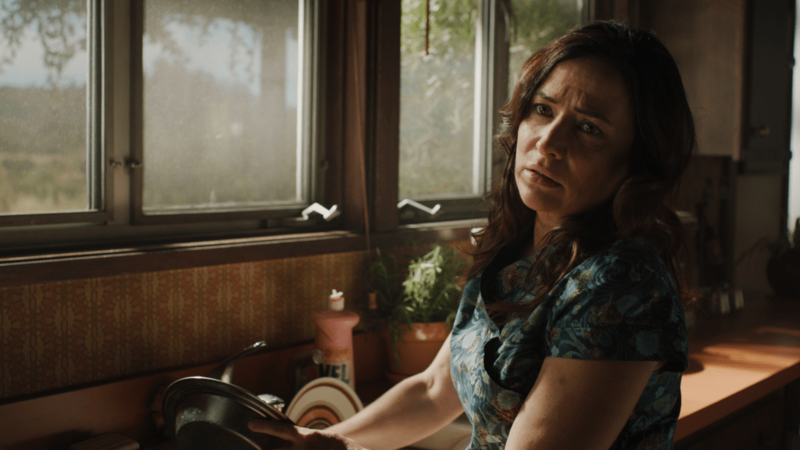 The story and screenplay here were both written by Christina Hodson, best known for also writing the films “Unforgettable” (2017) and “Shut In” (2016). 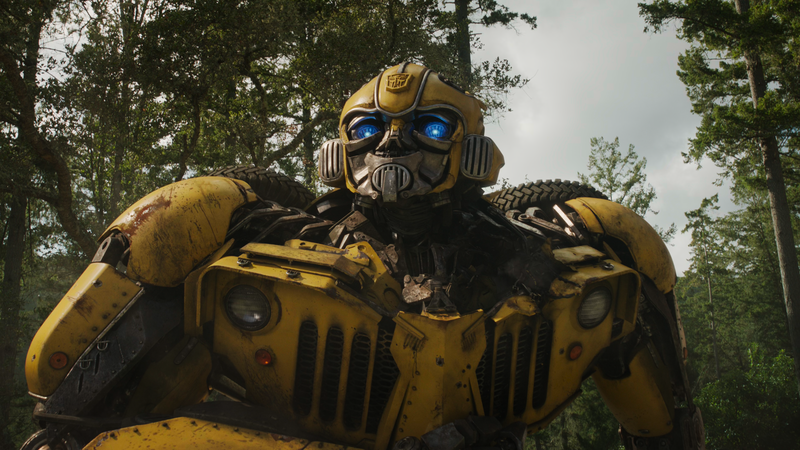 Bumblebee is the sixth live-action film to feature “The Transformers” characters created by Hasbro. 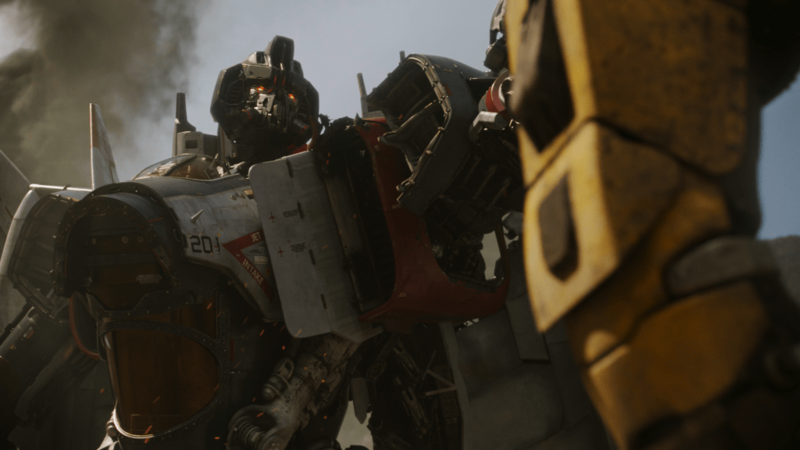 The film is also a prequel to the first five films, all directed by Michael Bay, that included: “Transformers” (2007), “Transformers: Revenge of the Fallen” (2009), “Transformers: Dark of the Moon“ (2011), “Transformers: Age of Extinction“ (2014), and “Transformers: The Last Knight“ (2017). 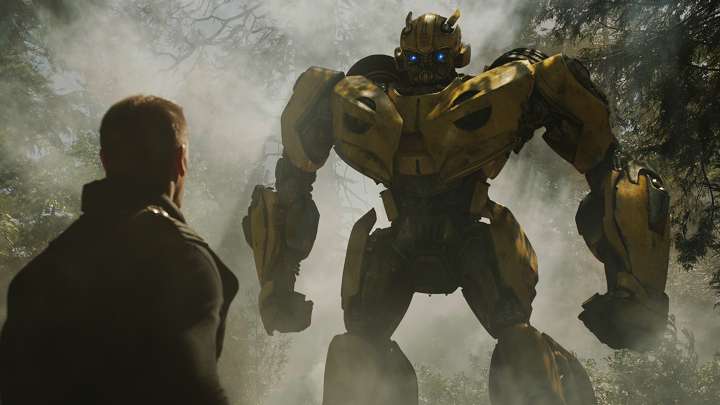 Michael Bay had involvement with this as a producer, along with Steven Spielberg again serving as executive producer. 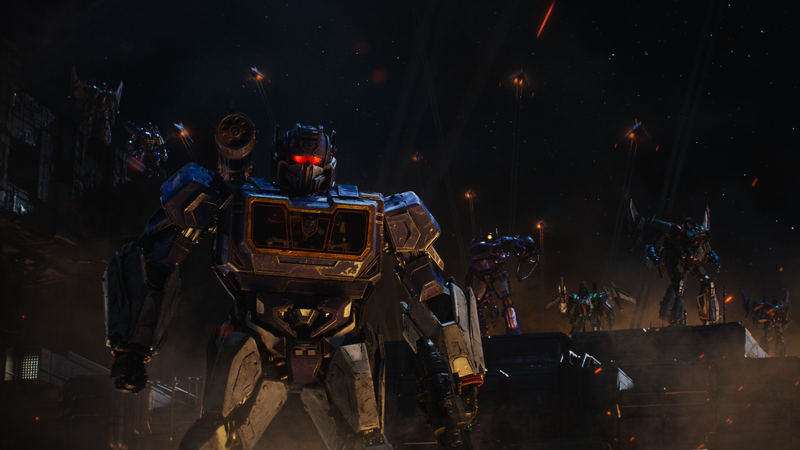 As the film opens there’s a war being fought on the planet “Cybertron” where “Optimus Prime” (voiced by Peter Cullen) is battling it out with the Decepticons. 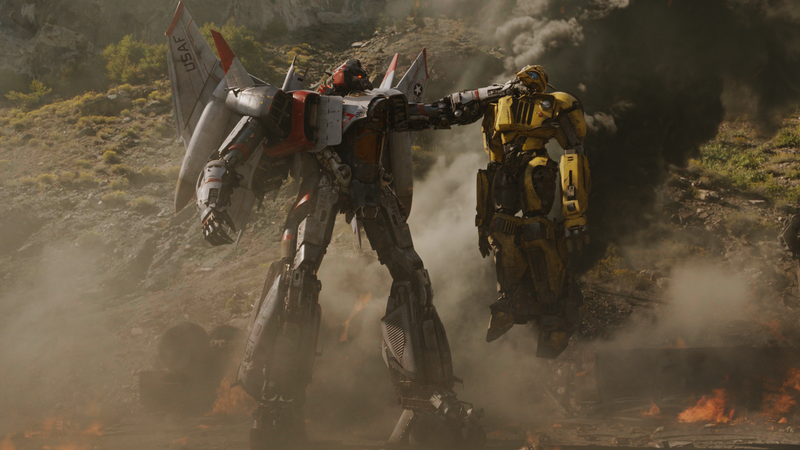 He manages to get Bumblebee to an escape pod, gives him orders, and set his destination as the planet Earth. 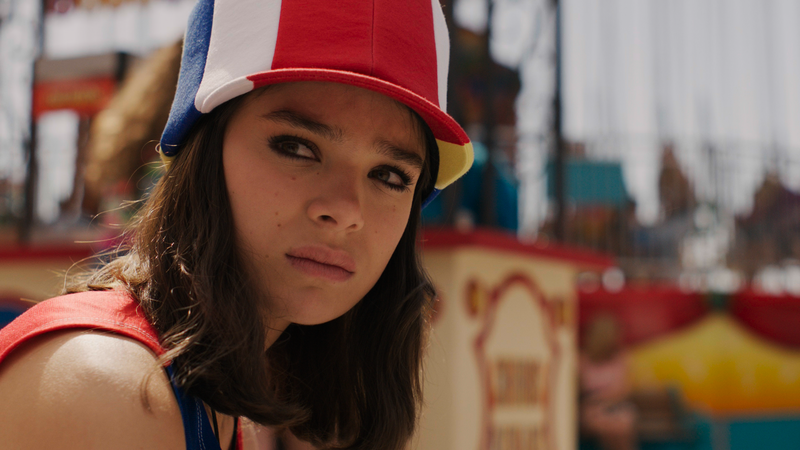 The story here takes place during 1987 in a Californian town, with a 17-year-old girl named “Charlie” (Hailee Steinfeld) as our lead human character. 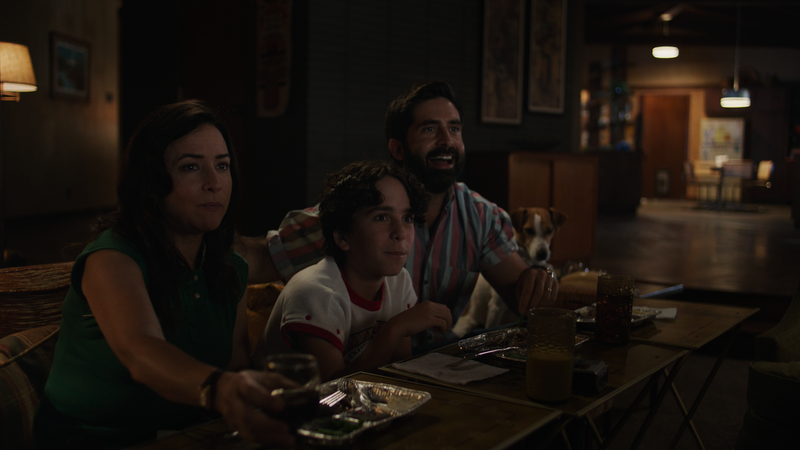 Charlie is at the age where she wants to get out of the house with her mother, stepfather, and little brother. You can tell that Charlie is going through a rough time her life and is looking for something. 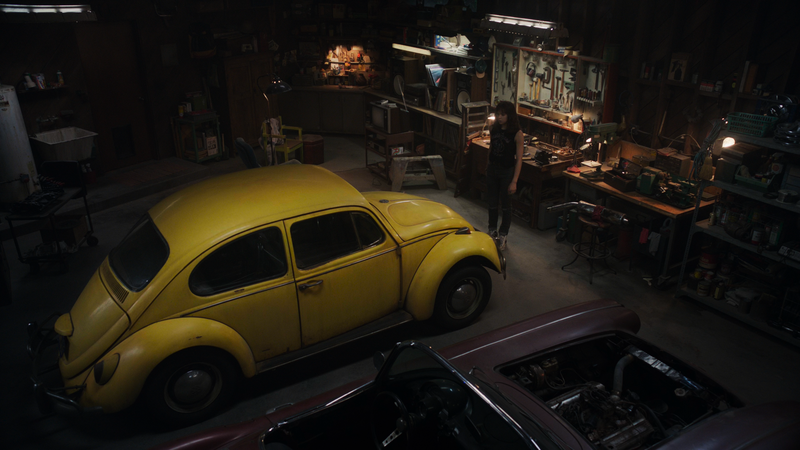 She will definitely find something in a junkyard: Bumblebee hiding in the form of a bright yellow Volkswagen Beetle. 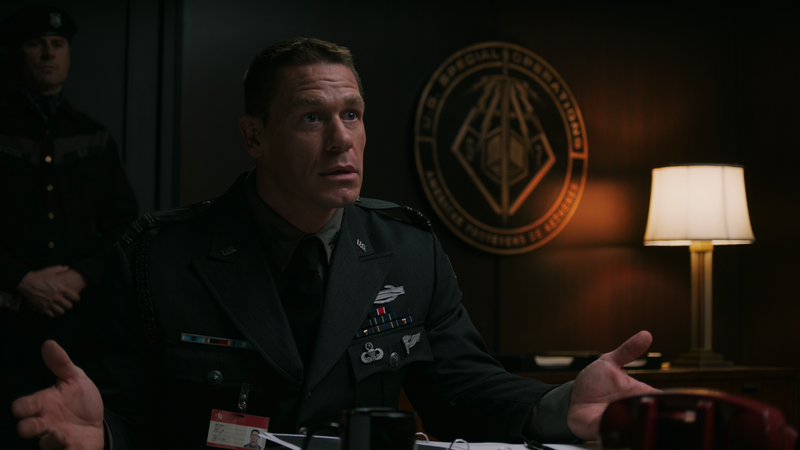 When he first arrived on Earth Bumblebee managed to attract the attention of a U.S. government, specifically one “Agent Burns” (John Cena). 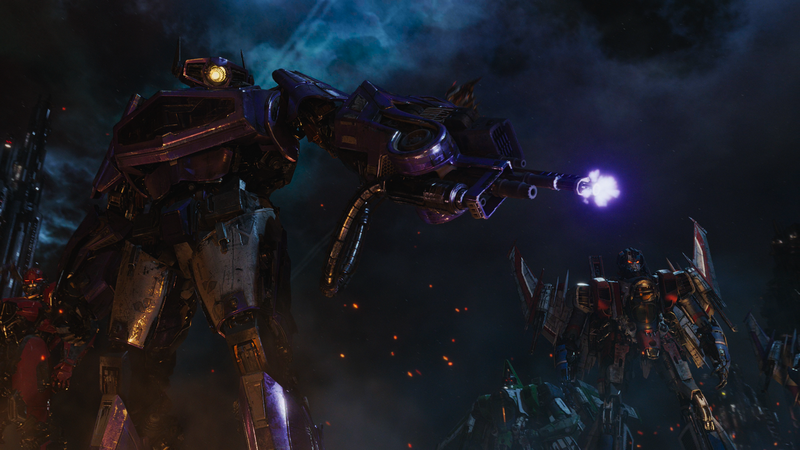 Burns chased our Autobot friend away during a battle with a Decepticon then and is still searching for him. That’s just one of the dilemmas faced here. 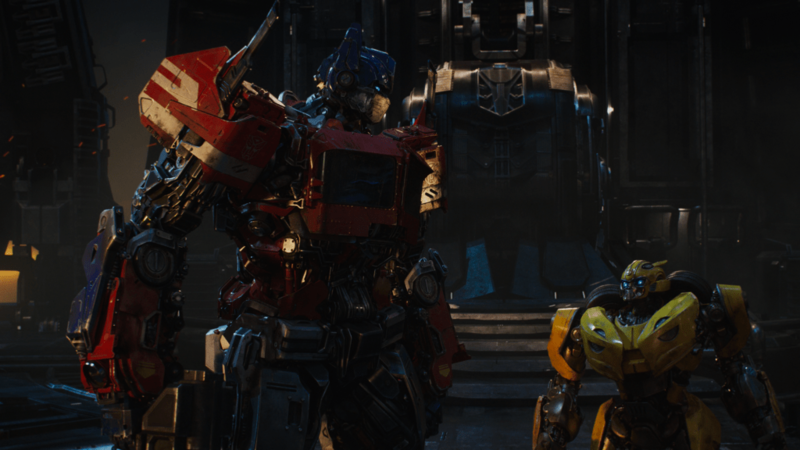 Basically, over the course of this film, you get to see Bumblebee find his first human companion and things meet up with the previous films many, many years later. 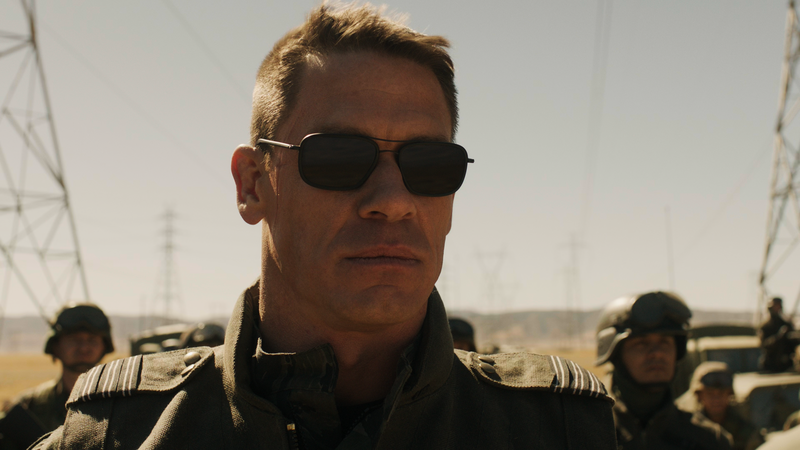 That leaves room for more prequels and such that could take place during the late 1980s and 1990s. So, based on this film’s success and the franchise being this well-known, I’d say you can expect another Transformers film very soon. “Bumblebee” is a nice bit of fresh air breathed back into the franchise which had honestly become a tad stale over the course of the four sequels to the original 2007 film. 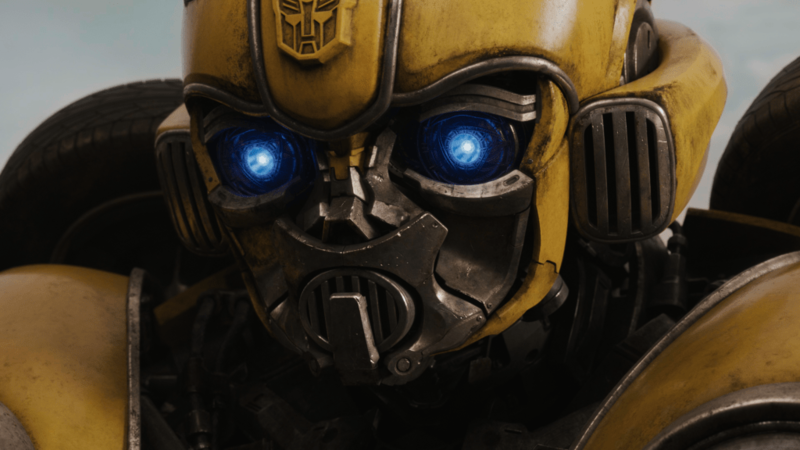 It’s also nice to see this fan-favorite character to finally get their own movie focusing entirely on them as well as see things from the perspective of a female protagonist this time around. 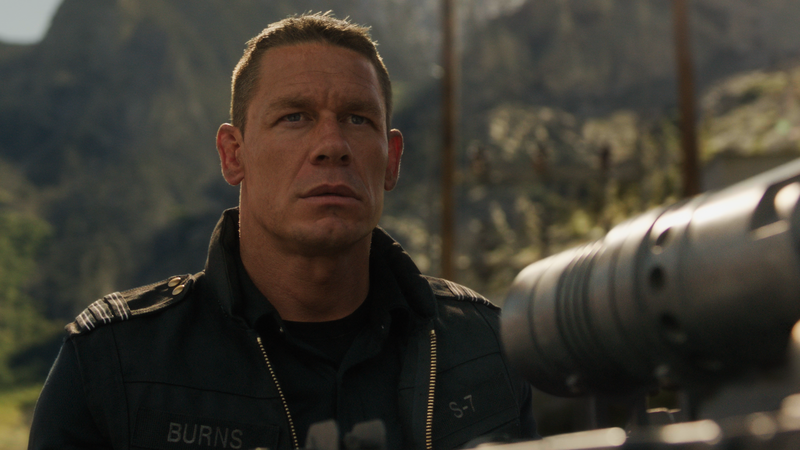 There are not as many explosions here, admittedly, since Michael Bay only produced it but there’s an acceptable amount of things blowing up and going boom over the course of the film. 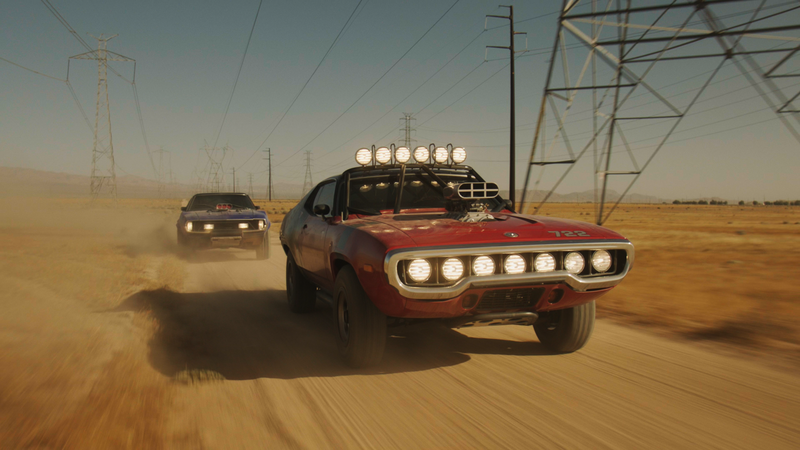 This is really a fun movie and I’m glad to see the franchise back to being popular. The critics seemed to enjoy this film as well as it carries a “Certified Fresh” badge over at Rotten Tomatoes – at time of writing this. 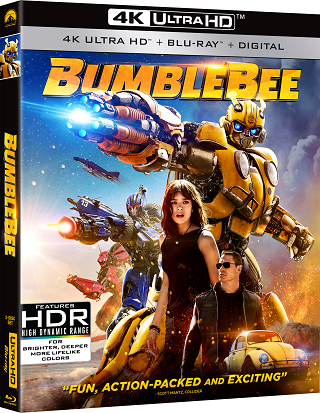 This comes to 4K UHD Blu-ray presented in the 1.78:1 aspect ratio, although it was shown in the 1.85:1 aspect ratio during its theatrical run – according to IMDb. 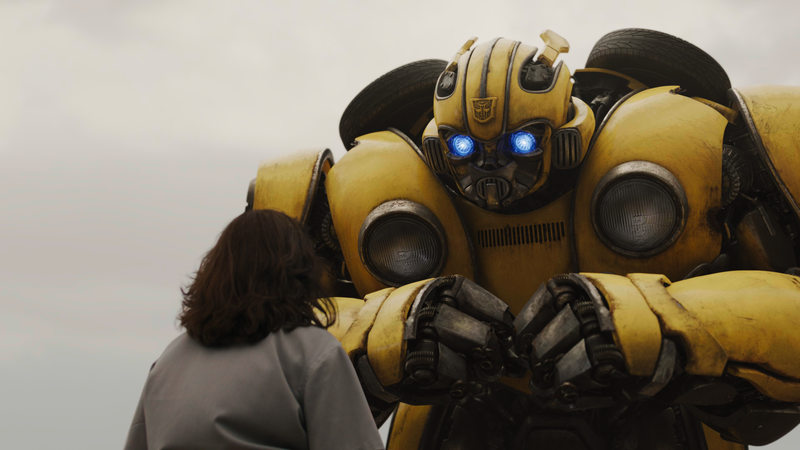 In its 4K debut, “Bumblebee” gets both HDR10 and Dolby Vision forms of High Dynamic Range. 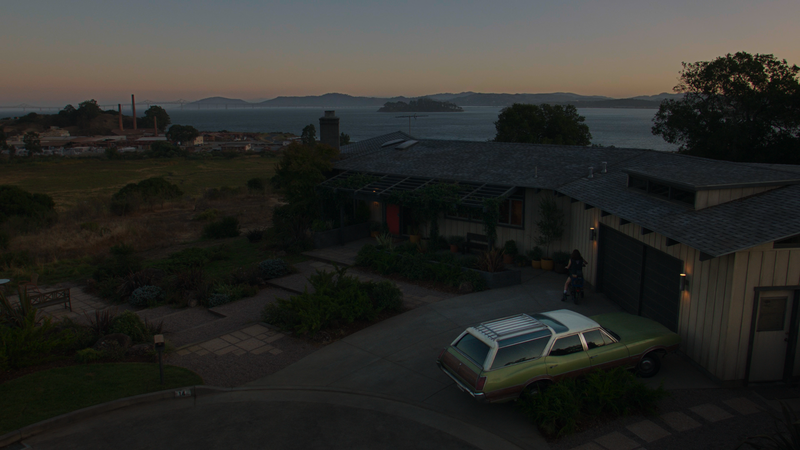 This movie was shot digitally in 3.4K resolution using the Arri Alexa Mini, Arri Alexa SXT, and Arri Alexa XT Studio cameras. 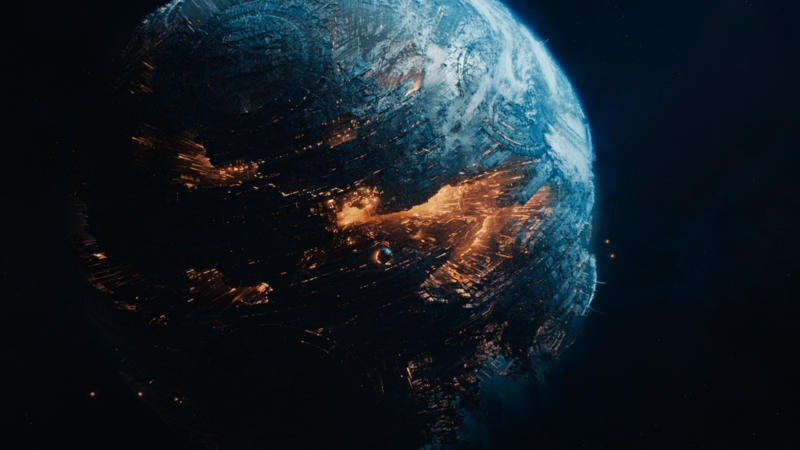 This was then mastered in a 2K digital intermediate, despite having higher resolution (near 4K) source material. This is a rather common practice these days and should not raise any major alarm, in regards to the 4K video presentation. 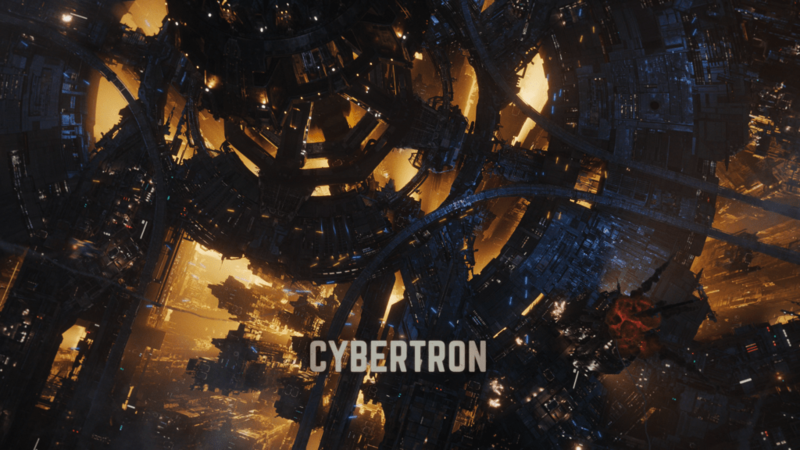 The most impressive and complex of the CG animation can be found in the opening scenes on Cybertron. 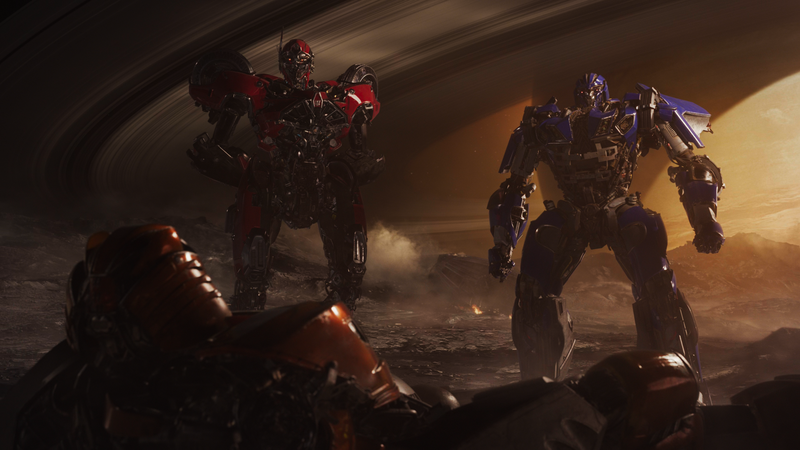 Seeing “Optimus Prime” and the Decepticons right in the middle of a battle looks absolutely gorgeous, just as you saw in the previous films with Industrial Light & Magic (ILM) efforts. ILM it seems maybe didn’t do all of the animations this time around but it feels pretty obvious they contributed to this opening scene. 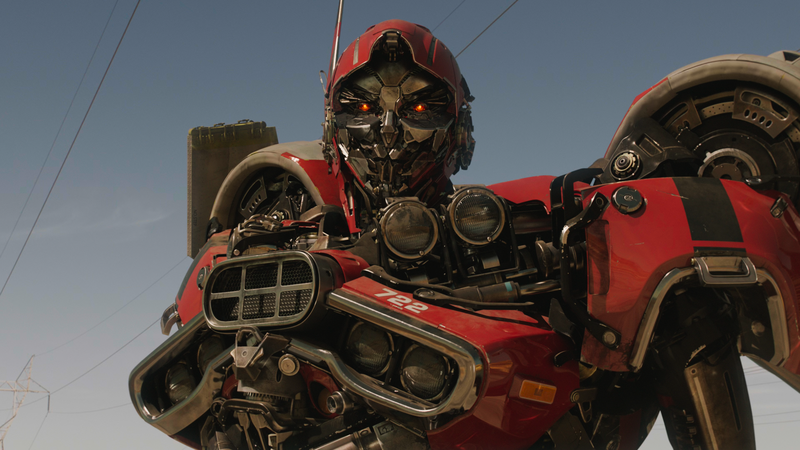 That opening scene and another scene involving a Decepticon are visually very compelling and look excellent in 4K. 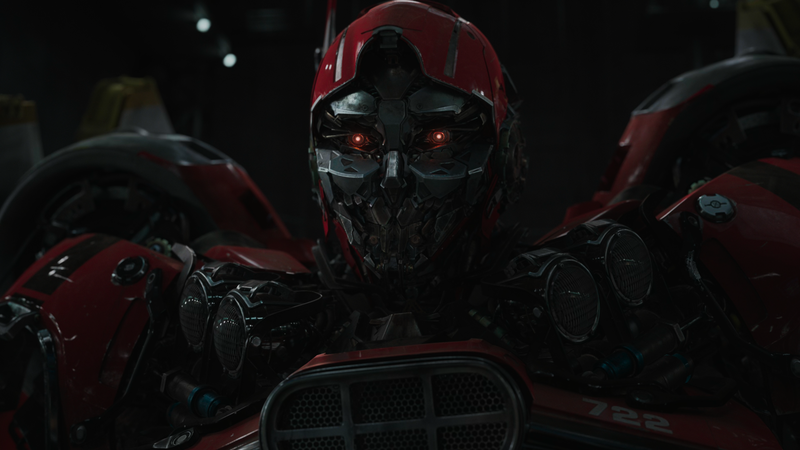 It may not look as impressive as the previous films here but that’s because of just more focus on a human being and those around her this time around, with only one Transformer really getting as much screen time. 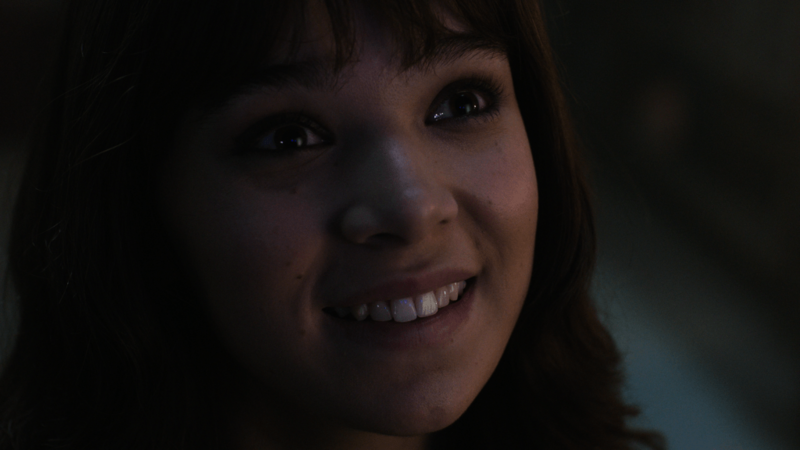 The live-action scenes, later on, look really great and come with a lot of detail, especially in the close-up shots of faces. 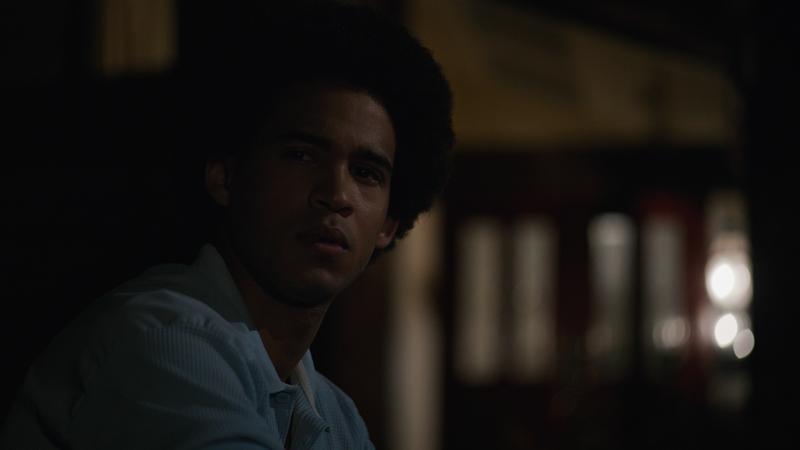 There’s a bright visual style with vibrant colors, just as you would expect for a film based in the 1980s and the flesh tones are accurate. The black level appears to be solid. 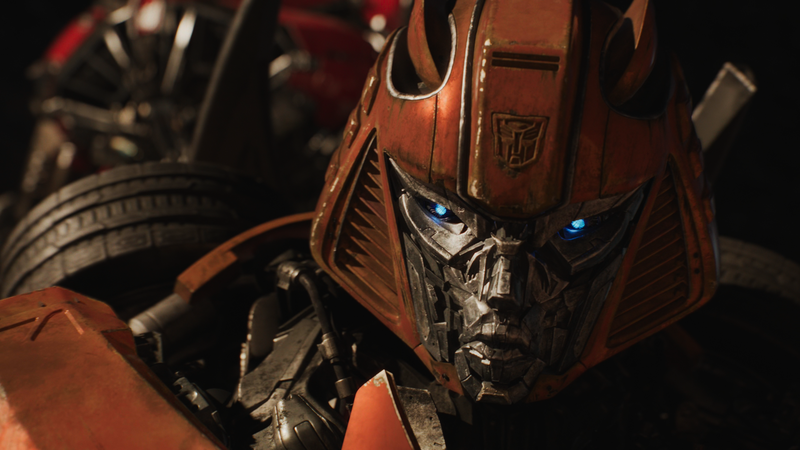 HDR manages to make the colors of the “Transformers” (in CG animation) look even more eye-popping visually in this 4K presentation. It doesn’t always look amazing, but it sure does about 95% of the time. 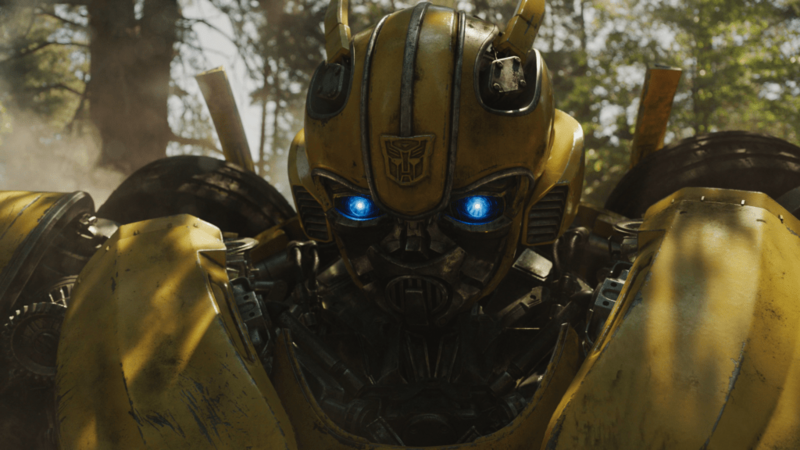 “Bumblebee” on 4K UHD Blu-ray earns itself a rating just short of perfect for video quality and just looks great. 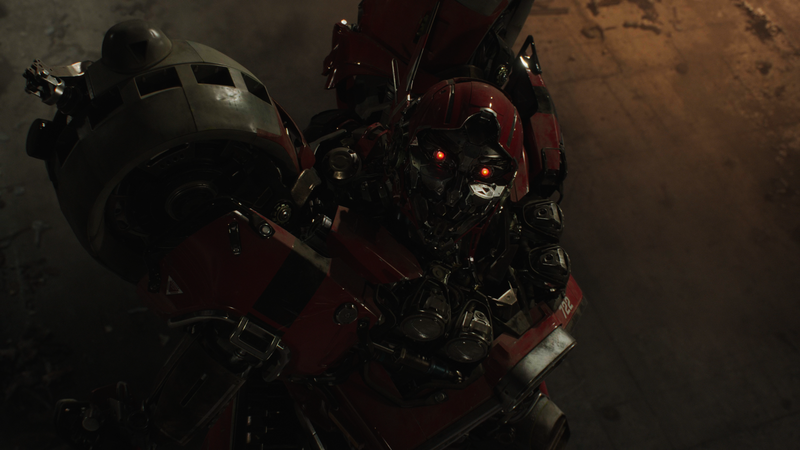 I think if they were to go back and use a 4K master it could perhaps look just a smidge better. 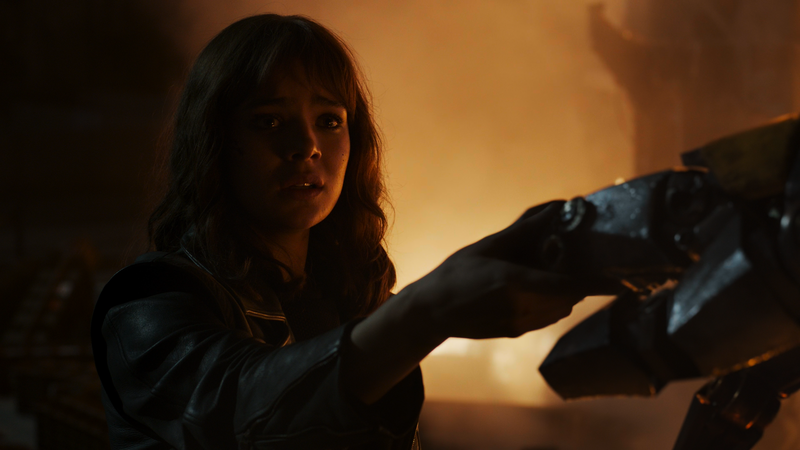 Audio here is presented in Dolby Atmos, with a Dolby TrueHD 7.1 core for those without the proper equipment to decode Atmos. 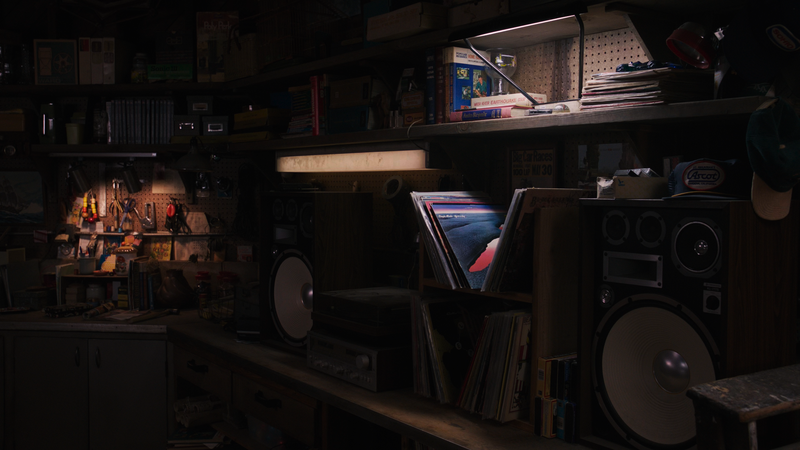 It is worth noting that Blu-ray actually also includes Atmos, as well. 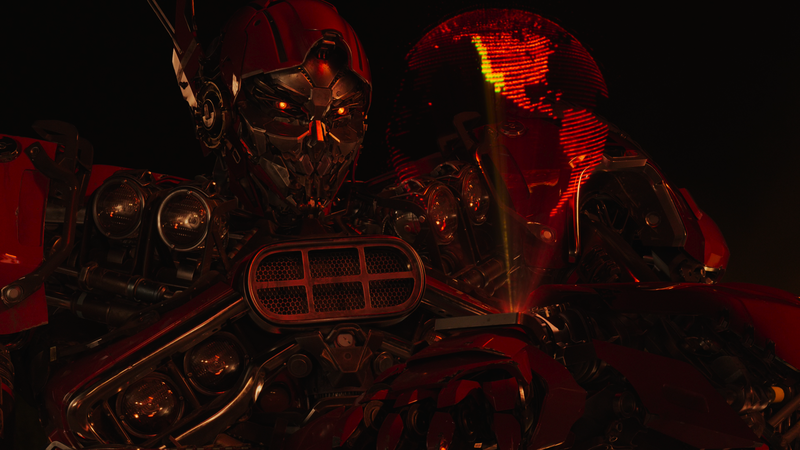 The opening scenes on Cybertron pack a serious punch in terms of the audio presentation. This sequence comes with excellent rear channel use, a large amount of bass booming from the subwoofer, and very impressive atmosphere via the height speakers. 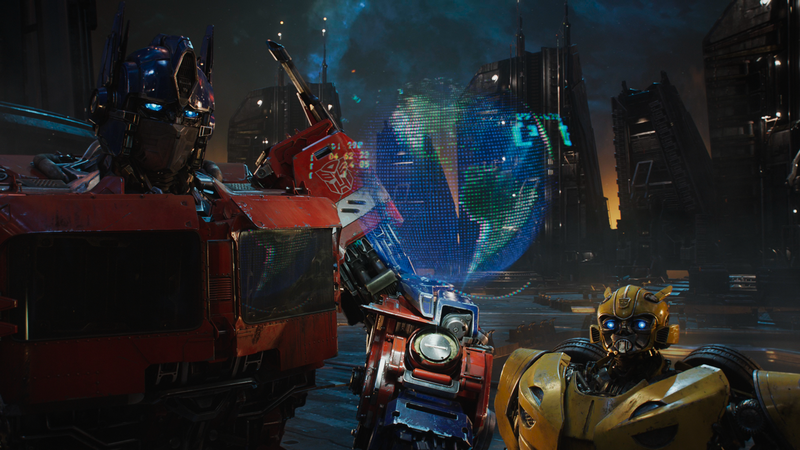 Dialogue from the voice actors for the transformers, such as “Optimus Prime” (Peter Cullen), is delivered in a very distinctive manner from primarily the center channel speaker. 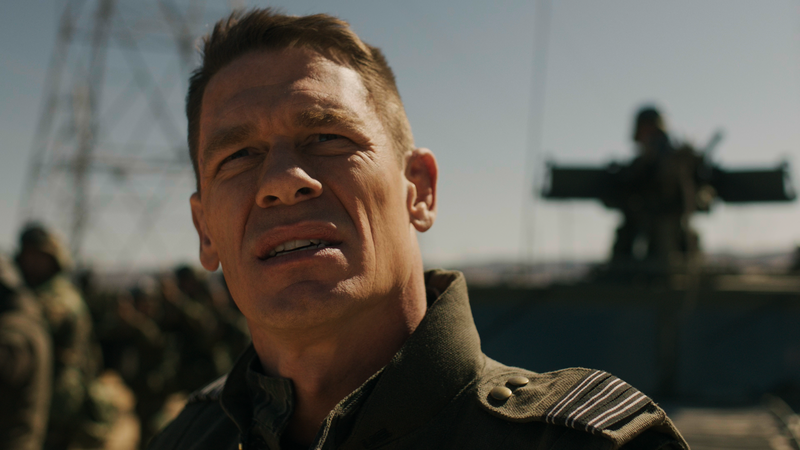 The dialogue later on in the film from actors during the live-action part of the film all sounds just as impressive and is properly mixed. I found no reason at all here to make any volume adjustment throughout listening at my reference level. The mix is just as intense as you have come to expect from the films in the franchise, especially in comparison to those that had Atmos mixes on Blu-ray before the 4K format was even released. 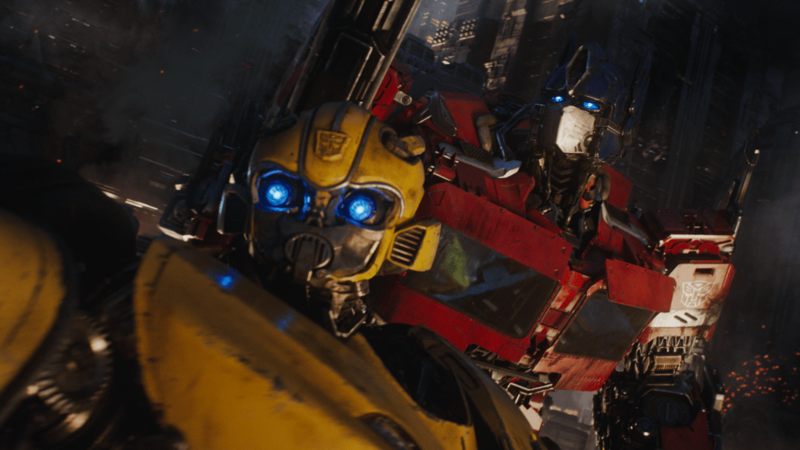 It’s a really fun experience for all ages much like the previous films, as it proves to be filled with just the right amount of action. 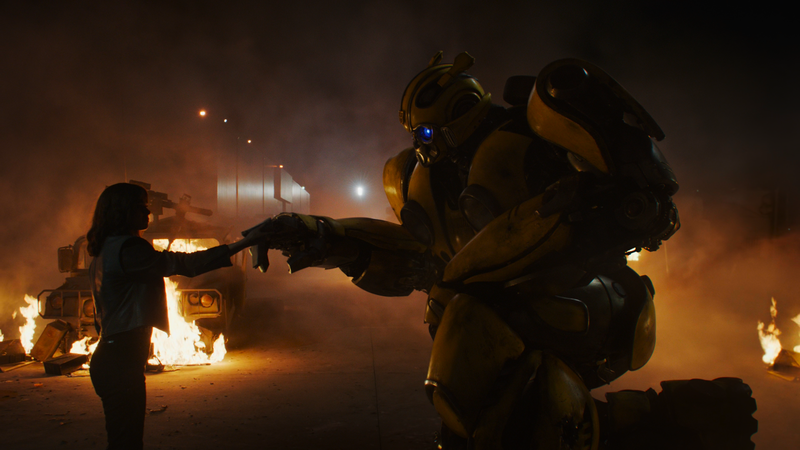 Sure, there’s admittedly less action than in the previous films but you need to remember this wasn’t a film made by Michael Bay. 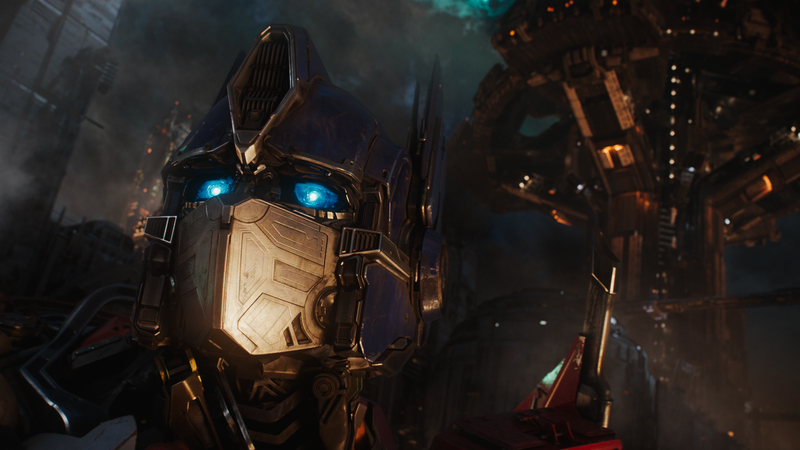 I personally think this style works and does still pay respect to the first five films in terms of its sound mix. This is for sure some Dolby Atmos “demo material” for those of all ages. I certainly consider this one of my new favorite Atmos mixes. This mix definitely works hard enough to earn itself a perfect rating for audio quality. 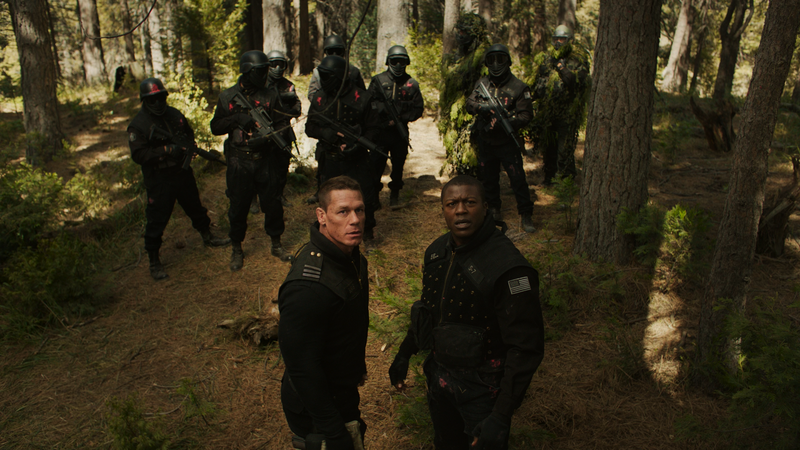 A Digital Copy of the film is included which is compatible with services like Apple’s iTunes and VUDU. 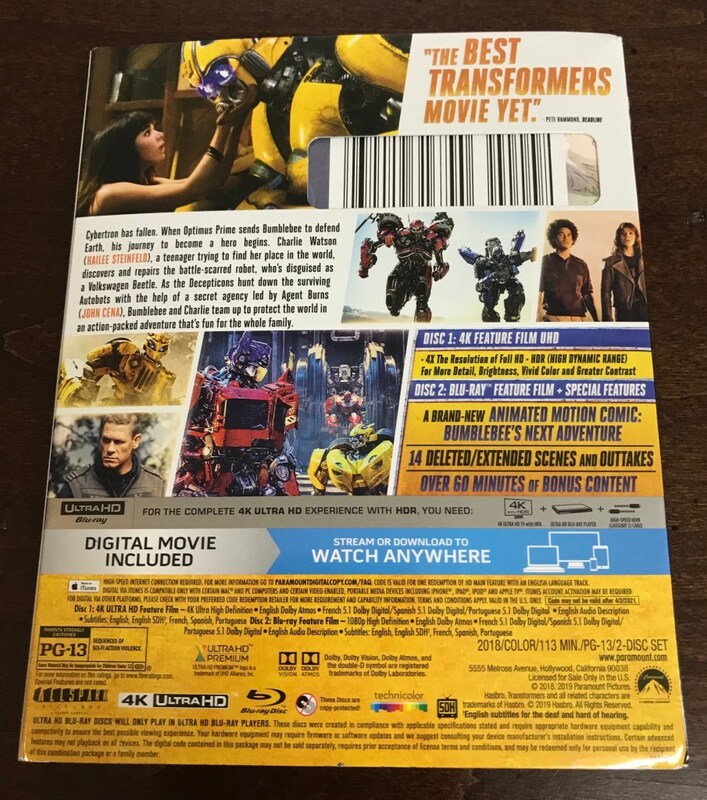 Here you get a paper insert inside the packaging that contains a code you put in at the URL listed. 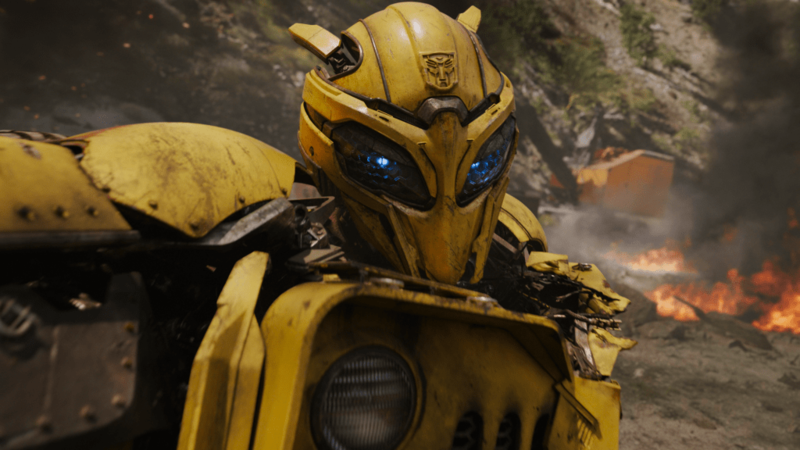 The film should be in 4K on both services with both Dolby Vision and HDR10 forms of High Dynamic Range with Dolby Atmos sound, although I cannot confirm this until after release date (4/2/19). A Blu-ray Disc of the film is included. 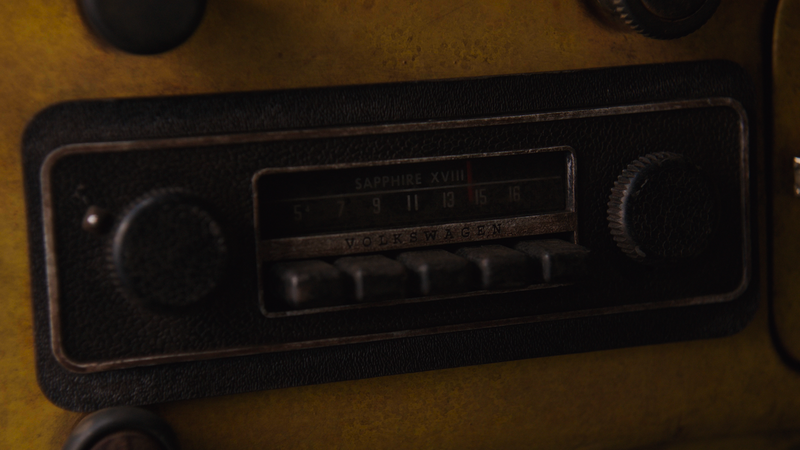 It also features the same Dolby Atmos sound mix. 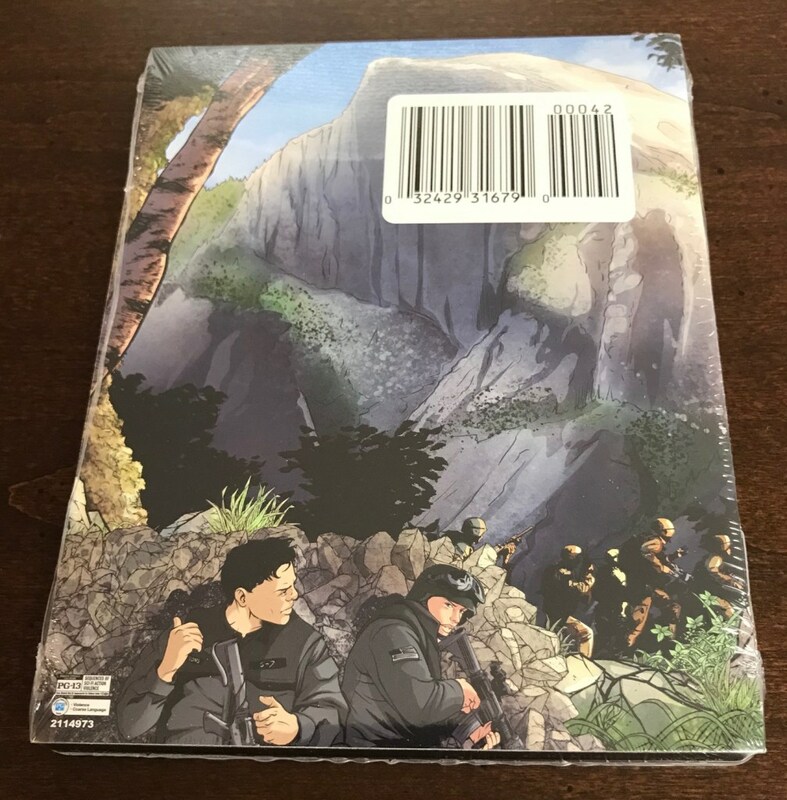 A Comic Book is included as an exclusive for what will likely be a limited run during the first pressing. This actually is animated into a motion comic as part of the extras on the Blu-ray included with this release. You’ll find more info on that just a bit below. 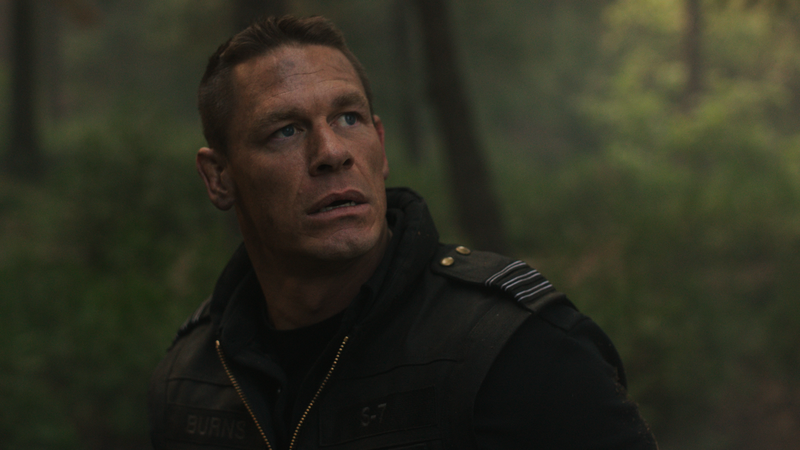 “Agent Burns: Welcome to Sector 7“ (0:50 – HD) features John Cena (in character) giving you an introduction to the animated motion comic below. 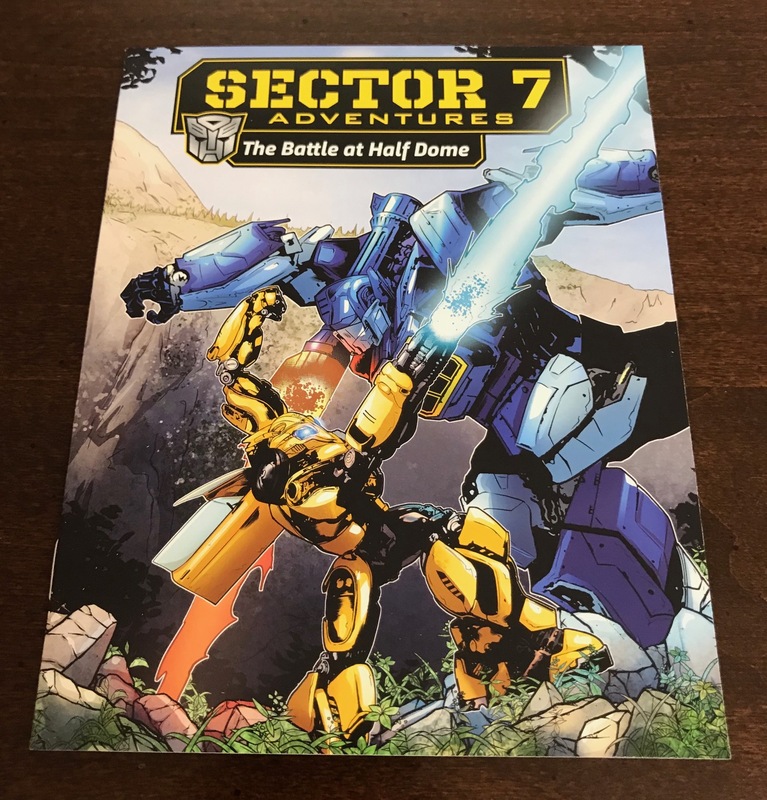 “Sector 7 Adventures: The Battle at Half Dome“ (9:19 – HD) is an animated motion comic. 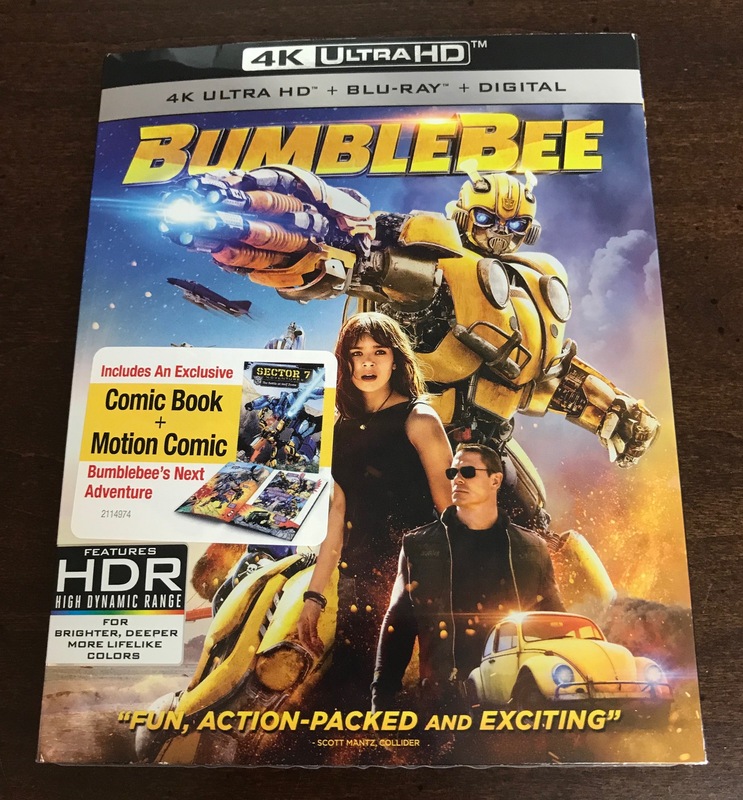 As mentioned there’s an actual mini-sized comic book included with the packaging to this 4K release (pictured much further below). That physical version of this comic is identical to this, just of course not animated and lacking voice actors. So, that said, this might do better with some younger children that don’t want to read a smaller comic, or with just lazy adults. This has some so-so voice acting and the animation proves to be somewhat entertaining. 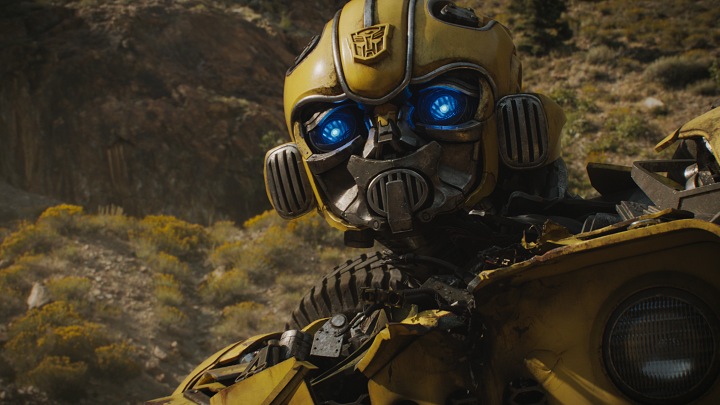 Bumblebee does make an appearance here, rest assured. 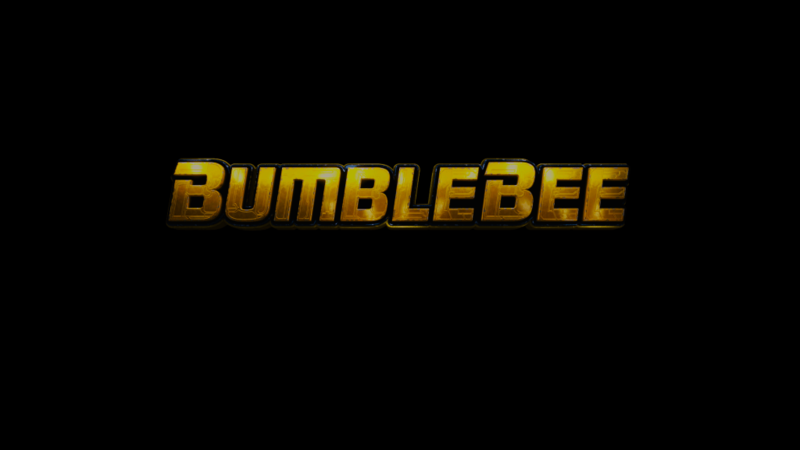 Lastly, this was produced and animated by Thinkwell Media. 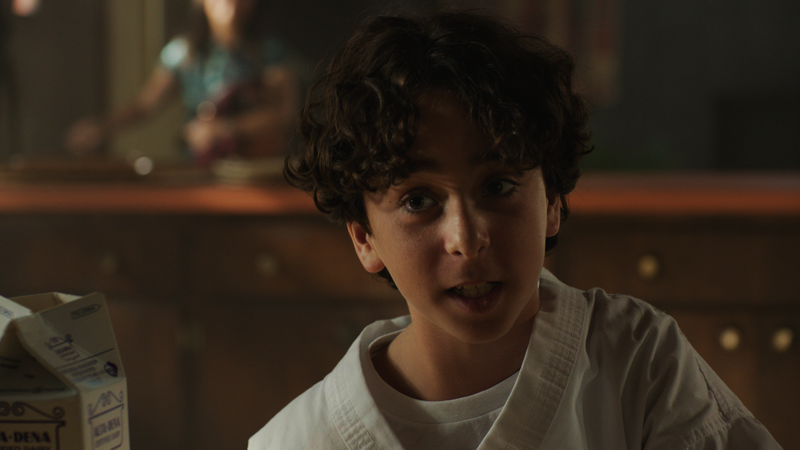 Deleted and Extended Scenes (19:05 – HD) are split up individually if you’d like to watch them that way but include a “play all” function as well. There’s an original opening included here along with eight other scenes. These prove to be rather longer than I’d expected and all also are very much worth watching. 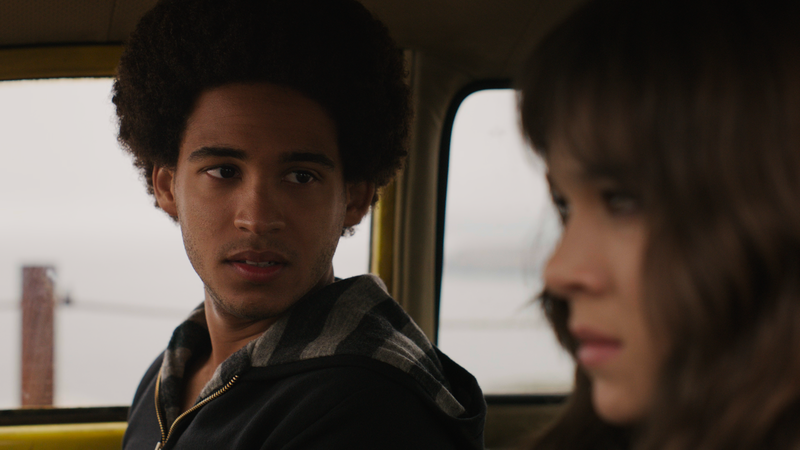 All of the scenes are presented in the correct (1.78:1) aspect ratio, like the movie. There are two unfinished scenes that have rougher CG animation blended in with the live-action footage. Outtakes (9:32 – HD) include a “play all” function but you can watch all five of them individually, from the menu, if you would like to. These are, umm, rather weird but do prove to be funny – like outtakes are intended to be. 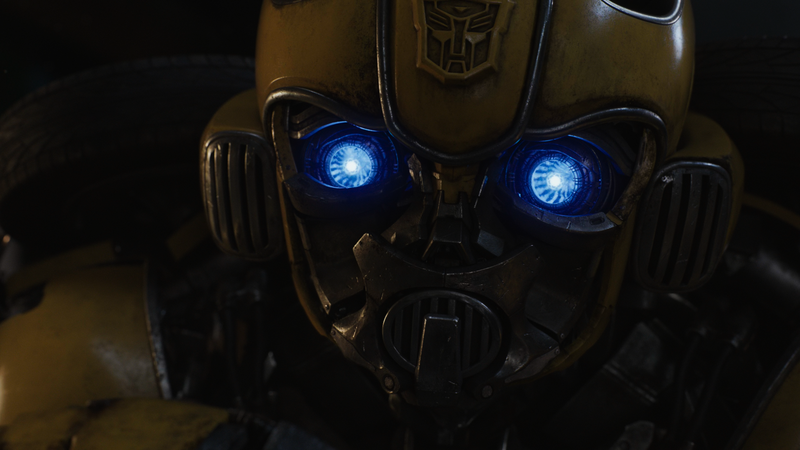 “Bee Vision: The Transformers Robots of Cybertron“ (3:56 – HD) is an English Only feature. No alternate languages are featured here to describe the details about the robots, so that’s why it being English only matters. This will play on its own as a standard featurette and describes the robots to you as it goes. 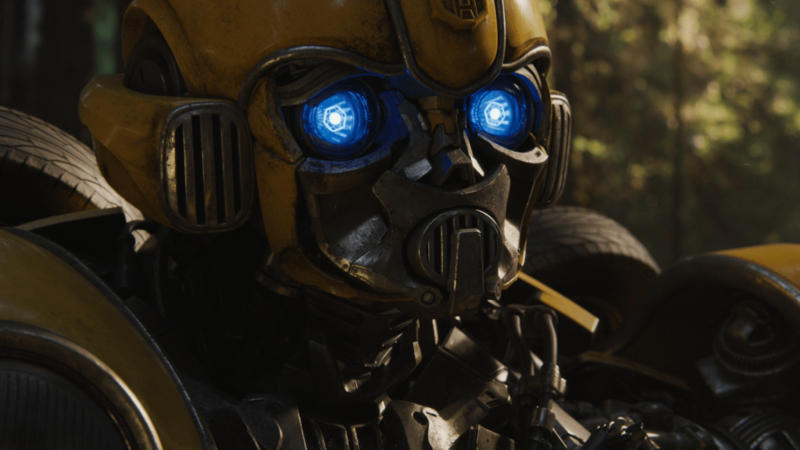 “The Story of Bumblebee“ (3:54 – HD) includes interviews with Travis Knight (director), Brian Goldner (executive producer), Brian Chapman (president of design and development, Hasbro), Scott Benza (ILM animation supervisor), Lorenzo di Bonaventura (producer), Hailee Steinfeld (“Charlie”), and Christina Hodson (writer). 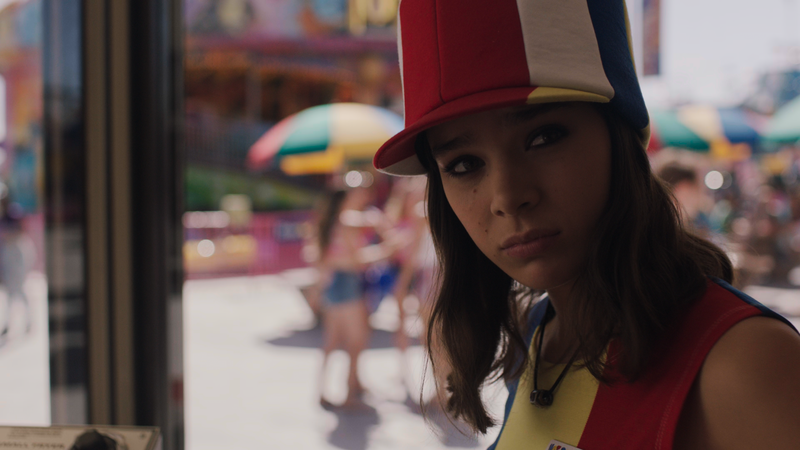 “The Stars Align” (7:04 – HD) features a lot of on-set footage and includes interviews with Christina Hodson (writer), Lorenzo di Bonaventura (producer), Travis Knight (director), Hailee Steinfeld (“Charlie”), and John Cena (“Agent Burns”). 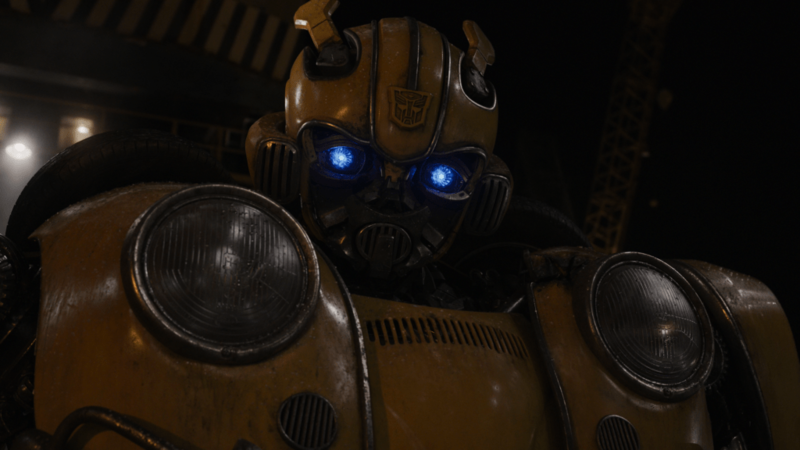 “Bumblebee Goes Back to G1″ (10:02 – HD) focuses on the characters and their history back in Generation 1 (“G1”) form of “The Transformers” toys from Hasbro. This features clips from “The Transformers: The Movie“ from 1986 and the animated TV series from the 1980s, as well as even a short glimpse at the comics. 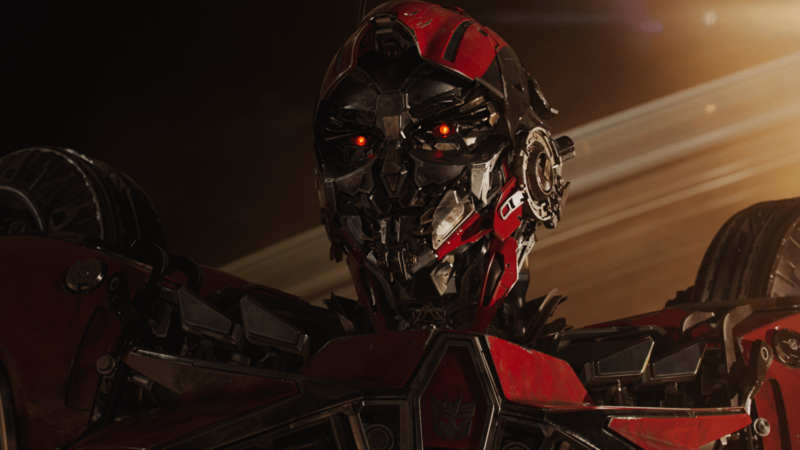 You can expect to see some footage of the original toys as well as interviews with Travis Knight (director), John Cena (“Agent Burns”), Jason Smith (visual effects supervisor), John Warden (senior design manager, Hasbro), Anthony Rispoli (digital artist supervisor), Gerald Blaise (lead digital artist), Jeff Sutherland (digital compositing supervisor), James R. Tooley (digital artist supervisor), Allison Farmer (digital artist supervisor), Kelvin Lau (digital artist supervisor), and Scott Benza (ILM animation supervisor). 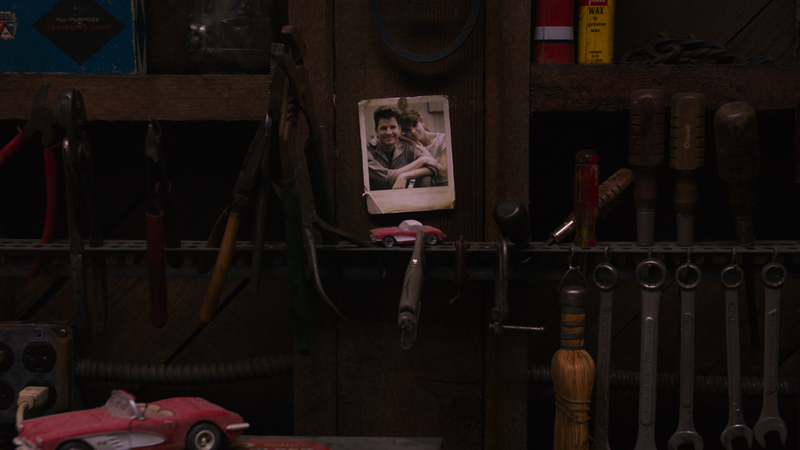 It’s lastly worth mentioning that there are some brief storyboard comparisons to the final film featured here. 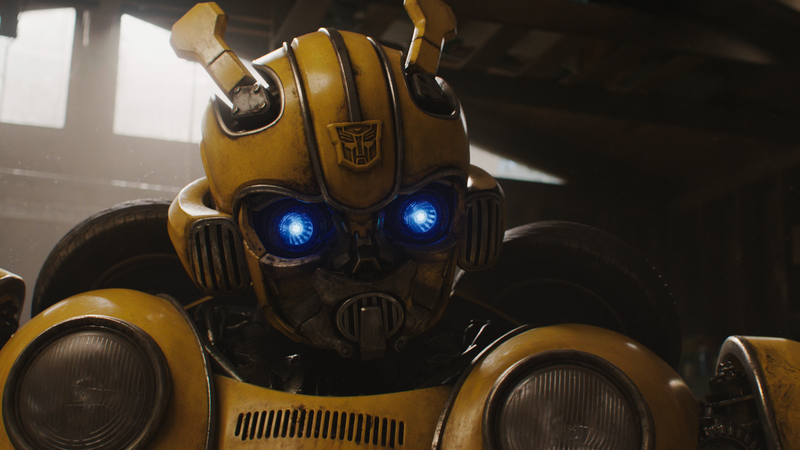 “Back to the Beetle” (6:20 – HD) again focuses on going back to the G1 original VW Beetle version of the character. 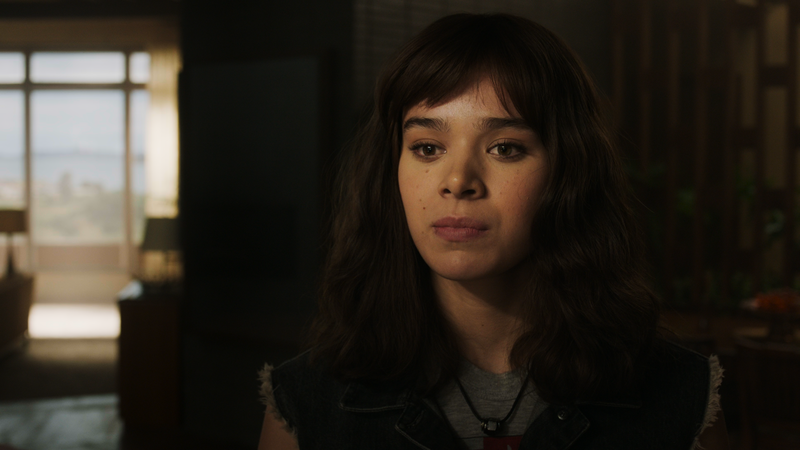 You’ll get clips from the animated film and TV series as well as interviews with Travis Knight (director), Jason Smith (visual effects supervisor), Samantha Lomow (president of entertainment brands, Hasbro), Ricardo Hoyos (“Tripp”), Jorge Lendeborg Jr. (“Memo”), John Cena (“Agent Burns”), Hailee Steinfeld (“Charlie”), John Warden (senior design manager, Hasbro), Brian Goldner (executive producer), Sean Haworth (production designer), Jason Drucker (“Otis”), Lorenzo di Bonaventura (producer), and Trevor Mann (production car mechanic). Finally, the character’s real origins where he first appeared in the 1984 comic and then in the animated TV series are also discussed here. 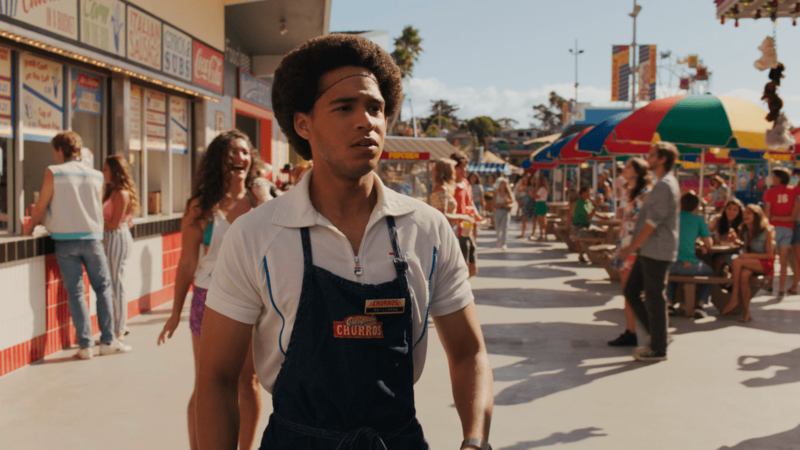 “California Cruisin’ Down Memory Lane” (19:57 – HD) takes focus on the facts that the film takes place in the 1980s and in California. You will get lots of behind-the-scenes and on-set footage here as well as interviews with Travis Knight (director), Christina Hodson (writer), Mark Vahradian (executive producer), Jorge Lendeborg Jr. (“Memo”), Lorenzo di Bonaventura (producer), Sean Haworth (production designer), A. Todd Holland (art director), Guillaume Delouche (property master), Danya Pink (costume designer), Hailee Steinfeld (“Charlie”), JJ Hook (co-producer/supervising location manager), Brian F. Relyea (first assistant director), Richard Bloom (art director), Kelvin R. Trahan (hair department head), Tina Roesler Kerwin (makeup department head), Ricardo Hoyos (“Tripp”), Jason Smith (visual effects supervisor), Mike Gunther (stunt coordinator), and Michael Chickey (location manager). 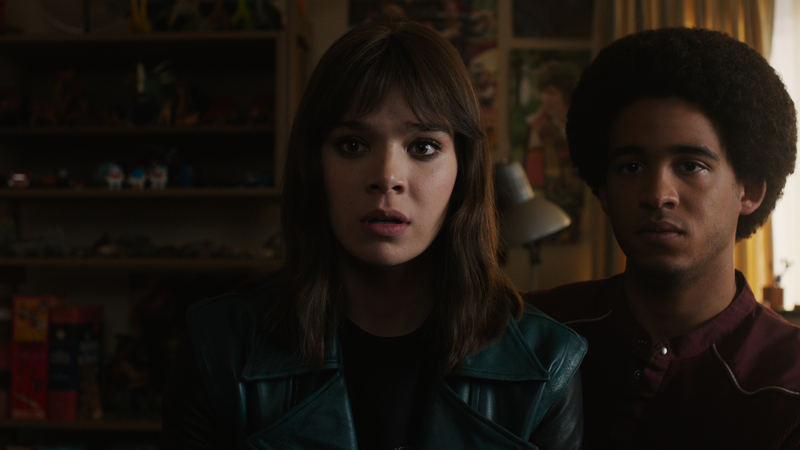 This featurette pays a lot of attention to the set pieces and wardrobe used to try to replicate the look from this era. Overall the bonus materials here are good and total up to a well over an hour of content. There’s an animated motion comic with some short backstory, deleted and extended scenes, outtakes, an informative feature, and some making-of featurettes. It’s enough to leave you somewhat pleased in terms of extras, especially if you also get the physical comic book included. “Bumblebee” proved to be a nice new approach at the “Transformers” franchise and gives us a glimpse back to the 1980s (appropriately enough) to when the first generation was what most adults my age will remember. 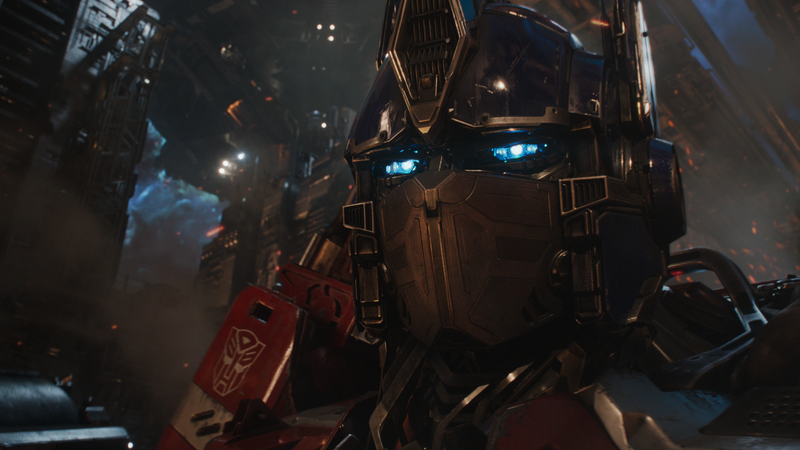 It’s also a prequel that focuses only on one of the characters from the franchise, albeit you will get to see “Optimus Prime” and some other familiar faces along the way. 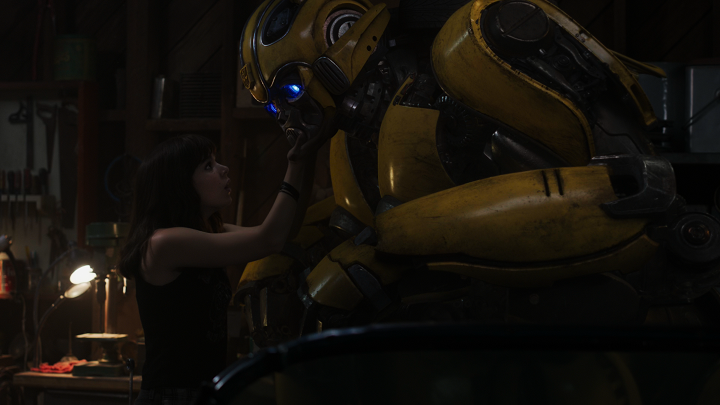 Both the story and acting here are really good from the human actors and the CG animated main character. 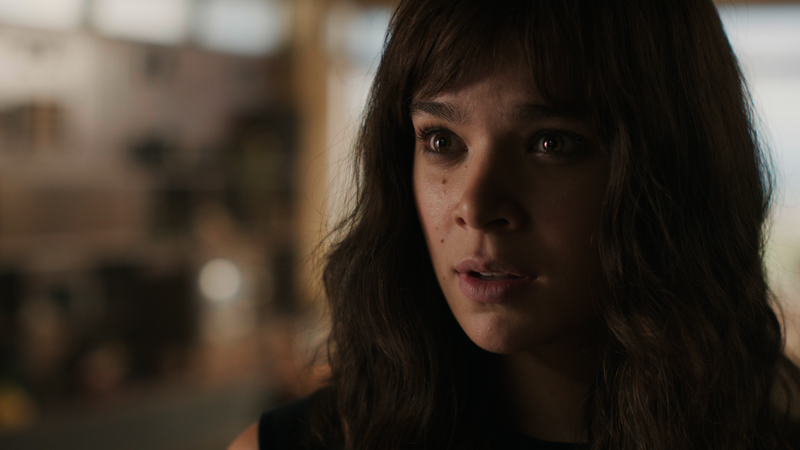 Hailee Steinfeld is a fresh new face and does a really nice job here being the lead. 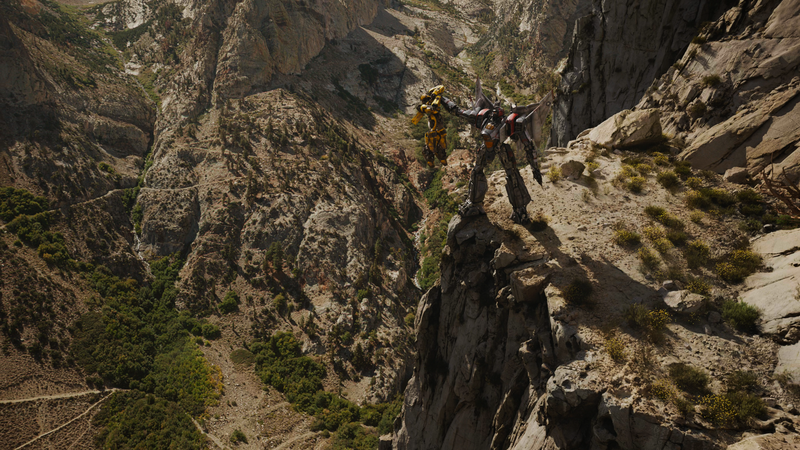 It’s probably one of the best of the Transformers films so far, and I’m certainly not the first to say that. 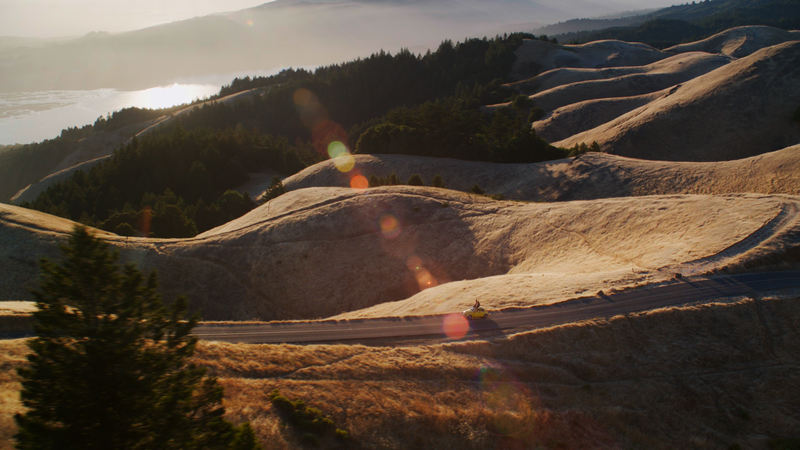 The video quality here is very impressive in 4K with both HDR10 and Dolby Vision forms of High Dynamic Range included. The audio presentation here is for certain one of my new favorite Dolby Atmos mixes, as it proves to have its intense moments. 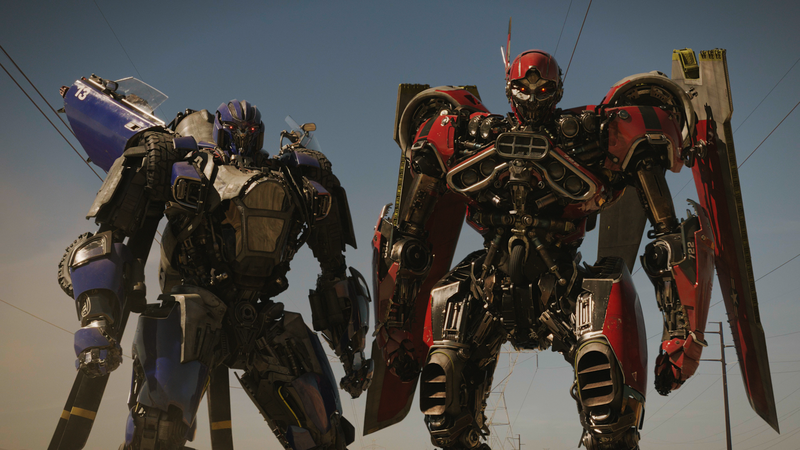 Let’s face it: we’ve come to expect these films in this franchise to both look and sound great now for over a decade. 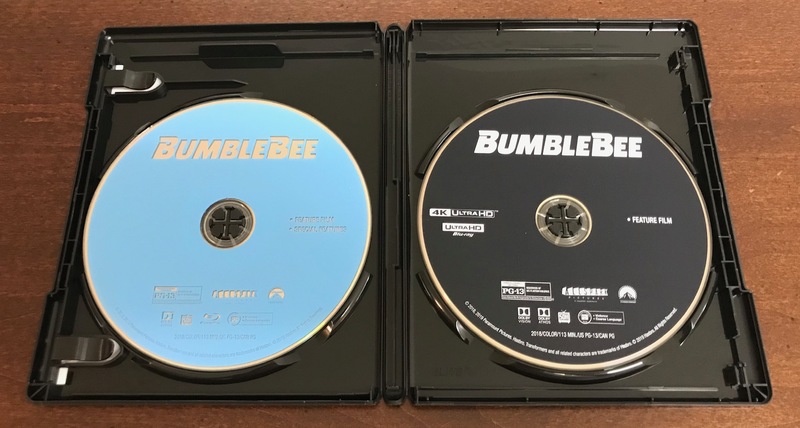 I’m happy to report that they continue to look and sound great with “Bumblebee” in its debut to the 4K format. Lastly, the bonus materials are pretty good and have a runtime of just a bit over an hour total. 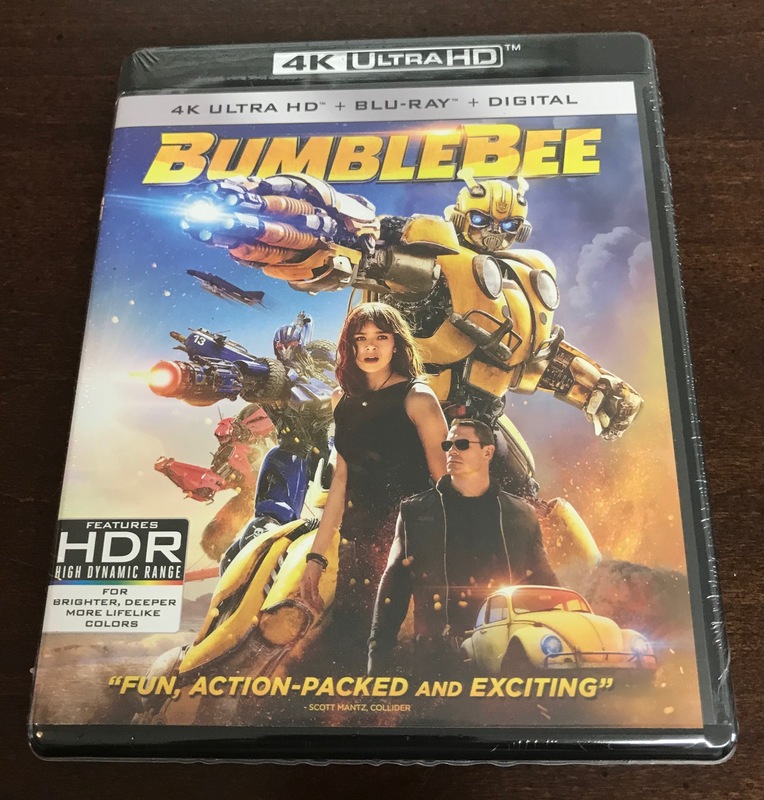 This release on 4K is certainly recommended.